The all-new 2017 Honda Ridgeline is coming Spring 2016 but Honda wants you to experience it before anyone else at Camp Ridgeline. Ten lucky winners will have the opportunity to test drive the Ridgeline at Rio Cibolo Ranch during a weekend getaway in San Antonio, Texas. The Honda Camp Ridgeline Sweepstakes is a promotion running online between February 1 and April 10, 2016 and consists of ten Entry Periods. Commencing on February 1st, entrants must visit the promotional website available online at http://future-cars.honda.com/new-ridgeline/. Once on the website, entrants must click “Enter Sweepstakes” to get started and fill out the entry form as instructed. Personal information such as first name, last name, email address, state of residence, phone number and date of birth are required in order to register for the Sweepstakes. There is a limit of one sweepstakes entry per participant per Entry Period during the Sweepstakes Period. Each trip is valued at $3,058.30 for a total of $30,580.30 in prizes to be awarded during the Honda Camp Ridgeline Sweepstakes. The Honda Camp Ridgeline Sweepstakes is open only to legal United States residents residing in the forty-eight (48) contiguous United States and the District of Columbia, who are physically located and residing therein and who are at least eighteen (18) years of age and the age of majority in their state of primary residence at the time of entry. Must have have a valid U.S. driver’s license to participate. 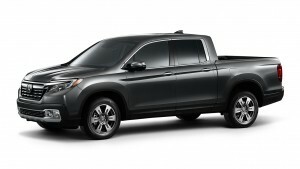 For complete details, including Official Rules, visit http://future-cars.honda.com/new-ridgeline/.